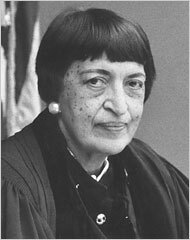 On July 22, 1939, Jane M. Bolin became the first African American female judge in U.S. history. She was appointed by Mayor Fionello La Guardia to the Domestic Relations Court (family court) in New York City. Bolin was born in 1908 in Poughkeepsie, NY. She attended Yale Law School and was the first African American woman to receive a law degree from Yale in 1931. She served on the court for 40 years until her retirement at age 70 in 1979. Bolin was a staunch advocate for children’s rights and worked to encourage racially integrated services. Bolin died at the age of 98, in 2007 in Long Island, New York.